When bride to be Lynne Cahill of Rectory Heights, Enniscorthy, Co.Wexford was told by doctors at St.Vincent’s hospital, Dublin, that her mother Catherine would be unable to attend her wedding at St. Senan’s church Enniscorthy yesterday afternoon, she seriously considered postponing her happy day to a later date in the hope her mother might have recovered sufficiently to attend. She hadn’t reckoned on the resourcefulness of parish priest, Fr. Paddy Banville, however, who was determined nothing was going to stand in Linn’s way of marrying her long-term sweetheart Sean Nolan from nearby Monageer. He immediately decided if Catherine couldn’t attend the wedding in person, he would bring the bride and groom to Dublin to see Catherine in hospital and set about bringing his plan to fruition with the help of fellow parishioners from the close knit community. 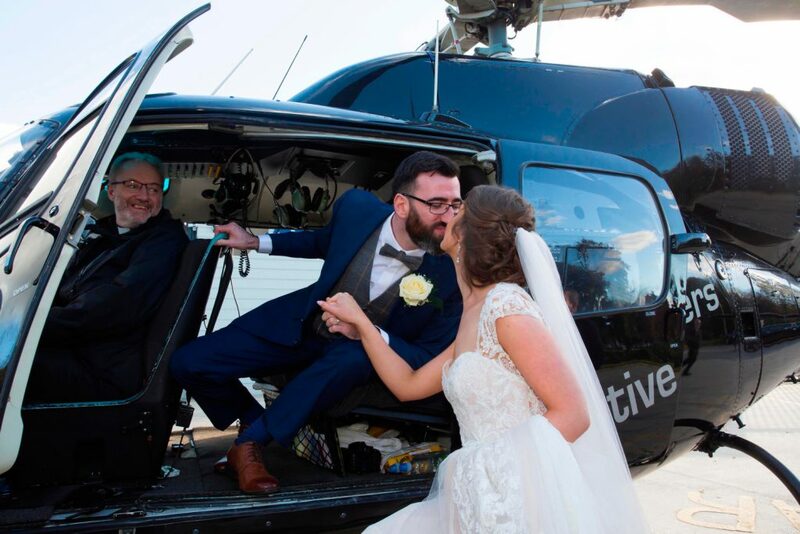 A plan was devised with the help of local businessman, Padraic Donohoe of Alcast Motor Factors; a helicopter was hired to fly the couple, the couple’s daughter Ava, the bride’s father Larry and Fr. Banville from the company’s headquarters to St.Vincent’s hospital Dublin, where a tearful but happy re-union took place yesterday afternoon. The wedding party then flew back Enniscorthy in time to join over 170 guests at a reception in the Riverside Park Hotel, Enniscorthy.